There's nothing like rolling out of a comfortable, silk-covered bed and flicking on the TV as you gather your thoughts for the day ahead - nothing, that is, except for doing all this at 30,000 feet. According to a report in the Daily Mail, airline giant Boeing is set to release a new luxury aircraft which will bring world-leader-style jet-setting to regular business travellers. Nine heads of state are reported to have ordered Boeing’s new 747 Aeroloft luxury business jet, which boasts a separate cabin with sleeping quarters for eight people. 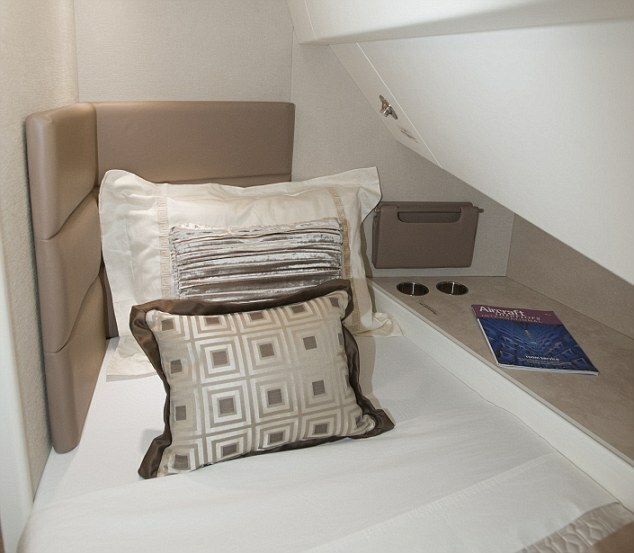 Boeing Business Jets feature a kitchen, conference and dining area and an 'executive suite' with a queen-sized bed, adding nearly 400 square feet onto the existing Boeing Business Jet 747-8. The Aeroloft plane will be the largest in the world, described by Boeing Business Jets president Steve Taylor as "an innovative and exciting project". The aircraft, which set off from Kansas last week is due to enter service in 2014, after visiting Lufthansa in Hamburg, Germany, for the addition of yet more luxury fittings.